Don't miss our Winter Concert tonight! It's a busy week for the Whittier Tech Chorus. 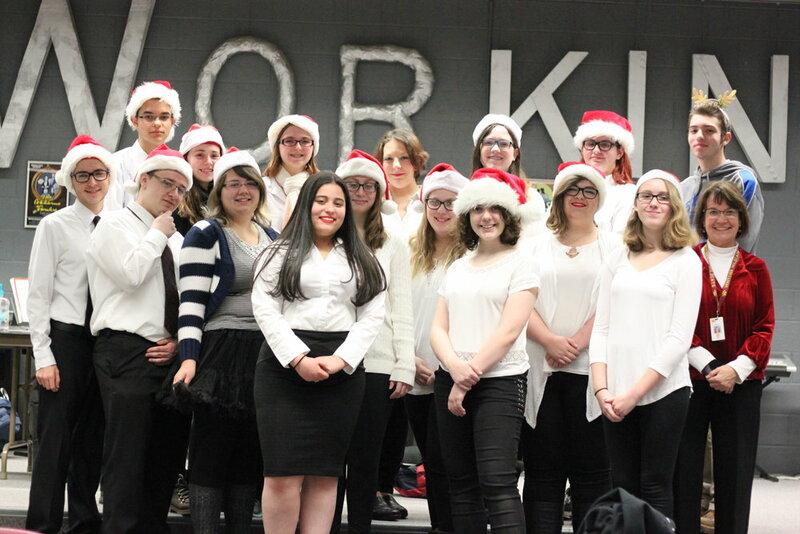 With Music Director Linda Urban, students took their holiday cheer on the road today to perform at the Holiday Luncheon for Seniors in Amesbury. Yesterday, they sang at the Superintendent's Luncheon at our school restaurant, The Poet's Inn, and last night members performed for the Whittier School Committee. Tonight at 7 p.m. they will take the stage in the Whittier auditorium for their holiday grand finale -- The Winter Concert. Accompanied by guitar, keyboards and drums, they will sing contemporary and traditional holiday tunes. A final highlight will be a visit from Santa. Admission is free.